B2 Mahidol Boutique & Budget Hotel offers guests a new standard for a budget hotel. Our modern style guestrooms are designed under the concept of simplicity. Each room is appointed with a unique colorful oil painting. Our suites feature spacious living room providing you more space to relax at price that everyone can afford. 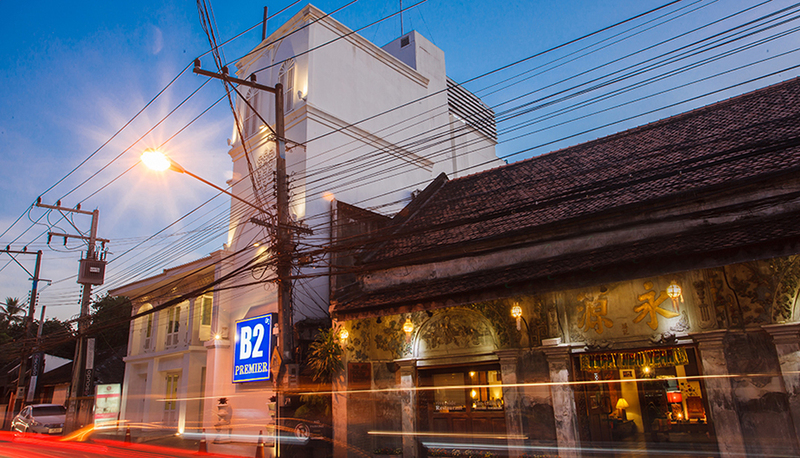 B2 Mahidol Boutique & Budget Hotel hits all the right notes. Our rooms are equipped with facilities and services; drinks and beverages, room service, mini bars, Cable TV, free high-speed wireless internet access. The hotel is conveniently located just a few minutes away from the Chiang Mai International Airport; guests can still easily access the city center from here or spend a day at Shopping Malls. It is the ideal place to stay in Chiang Mai if you are looking for a hotel near airport, shopping malls and the city. Whether you’re visiting Chiang Mai for leisure or business trip, stay at B2 Mahidol Boutique & Budget Hotel, you will be greeted by our friendly staffs and warm welcome to make your stay with us impressive and memorable.